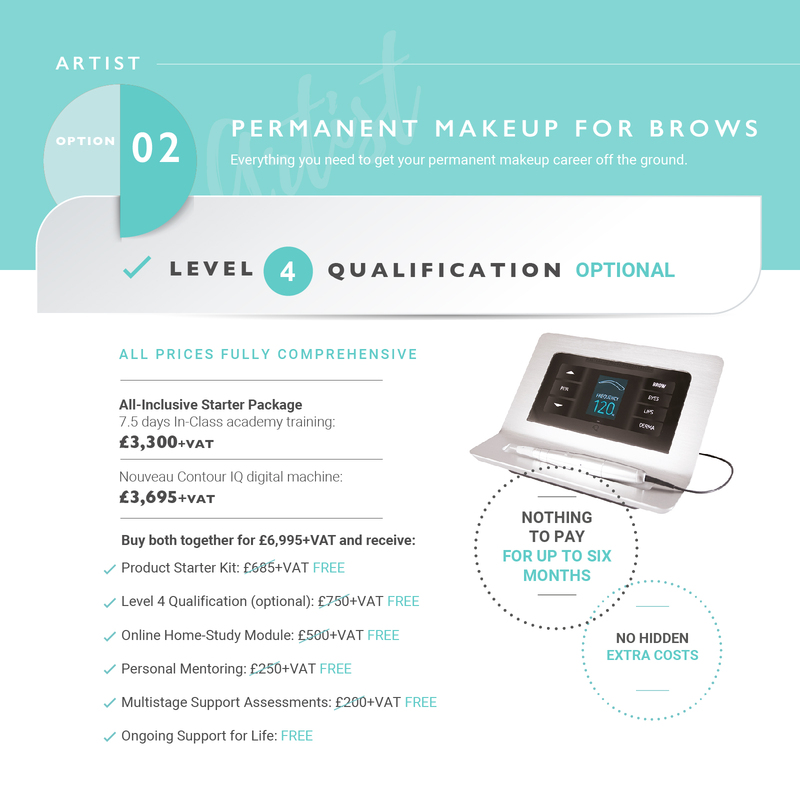 You’ve worked hard to perfect your microblading techniques; your K.B Pro permanent makeup training certificates are beautifully framed and have pride of place on your clinic wall. Now let’s talk about your portfolio. It’s one of your most important sales tools so don’t underestimate the power of a well-presented portfolio. A few snaps stuffed into a ring binder won’t cut it so put yourself in your potential clients’ shoes. What would it take for you to commit to having a permanent makeup treatment done? Your portfolio of before-and-after images must give them confidence in your skills and professionalism. You’ll need crystal-clear photographs of your clients before and after their permanent makeup or microblading treatments. The spec of the cameras on today’s mobile phones mean you can take high-quality photos yourself, but you really do have to practice first – both with framing and focusing your shots. That’s why it’s important to read your smartphone’s how-to guide to make sure you know absolutely everything there is to know about achieving perfect pro-quality photos with it. The other thing you need to look at is getting your lighting just right. Good lighting separates the pros from the amateurs, so if you don’t know anything about it, search on YouTube for photography lighting tutorials. You can create some simple two- or three-point lighting set-ups using any lamps you already have in your clinic… or you may well want to look into buying a small ring light that can attach to your phone. If you’re looking for advice or reviews, you can see plenty of demonstrations ring lights on YouTube. Ask a family member or a friend to be your model while you perfect your photography set-up and skills – you’ll need to get to the stage where you’re proficient in framing and taking really good shots quickly so as not to waste your clients’ time. You want to attract a wide range of clients to your permanent makeup business, so it’s important your portfolio shows plenty of diversity. Plan your pages out in advance and then you can focus your attention on gathering just the right images from a variety of age ranges and showing all the styles you can create. This will assure prospective clients that you can tailor your treatments to their preferences. Keep your images up to date too. The more treatments you do, the more skilled and confident you become so if your work has improved over time make sure you include your very best work. It’s so important not to over-clutter your portfolio pages or to create an overly elaborate presentation. Keep things simple. 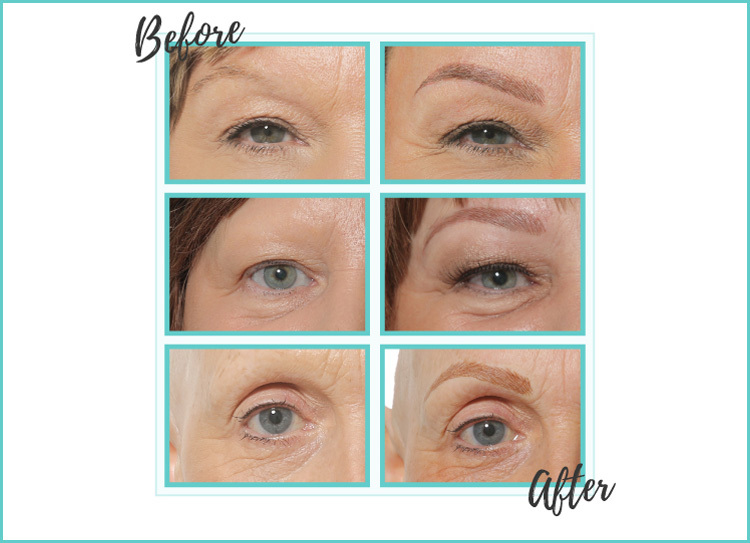 Even when you’ve been working as a permanent makeup artist for a long time and you have built up a substantial collection of before-and-afters, be selective. Pick your very best examples and lay them out in an aesthetically pleasing way with plenty of space around them. It’s great for prospective clients to be able to read what the clients in your permanent makeup and microblading portfolios thought about their results. There are various ways you can ask each of your clients for feedback. You can give them a questionnaire when they come for their colour boost. Or you could give them a card that directs them to a feedback form on one of your clinic or salon’s web pages, allowing them to type in their testimonial at home. As well as putting together a physical book, you’ll need a portfolio page on your website and perhaps a smaller version you can easily email to enquirers. Try not to make them all the same, as some of your clients may get in touch with you after they’ve already found you online and are getting in contact to see more of what you can do. So that’s it. Our five tips for putting together the kind of killer portfolios that win the hearts and minds of clients. If you’re a K.B Pro academy graduate, we have plenty of marketing resources to help you promote your services so ask one of the team for more details.